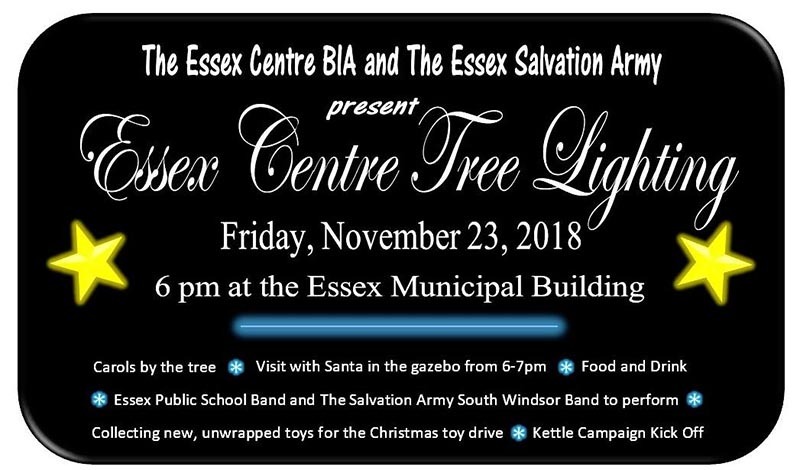 The Essex Centre BIA’s Annual Essex Centre Tree Lighting celebration and Essex Salvation Army Kettle Kick Off takes place in front of the Essex Municipal Building on Friday, November 23, 2018. The Essex Centre BIA is partnering with the Essex Salvation Army once again for this year’s Town Hall Tree Lighting festivities. 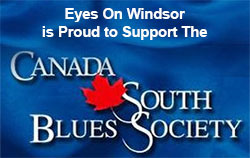 Enjoy Christmas Carols by the tree, visit with Santa in the gazebo from 6-7pm, and live performances by the Essex Public School Band and The Salvation Army South Windsor Band. In addition, to the Essex Salvation Army Kettle Kickoff, unwrapped toys of the Christmas Toy Drive will be collected and donations are appreciated.